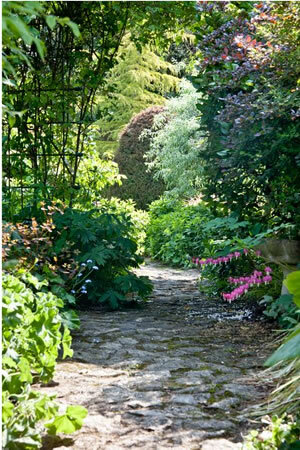 Knockrose Garden is situated 500 feet above sea level nestling on the shoulder of The Scalp, in the south of County Dublin, Ireland. Knockrose itself is situated on a tri-vortex of ley lines which enables visitors to feel very protected and to become at peace with themselves. The traditional farm house was built in 1750, and the border of Knockrose with the forests on the Scalp is the Pale Ditch.It is a place of peace and tranquillity, where it is blissfully easy to forget about the time-bound frantic pace of the 21st century, and relax to a more natural and healing pace.The scents and colours of the Cottage Garden are a joy to the senses and the Garden Studio (which is available to rent) is a wonderful place to create and exhibit art, share knowledge, or to just enjoy a cup of tea after seeing the garden. The garden is open by appointment from 3rd May until the end of September 2019. If you would like to visit please just give us a call at 087-6193455 or 01-2958371 beforehand to ensure that there is someone here to open the gate for you!